Timely. We need Mister Rogers now more than ever, for we live in dark times. 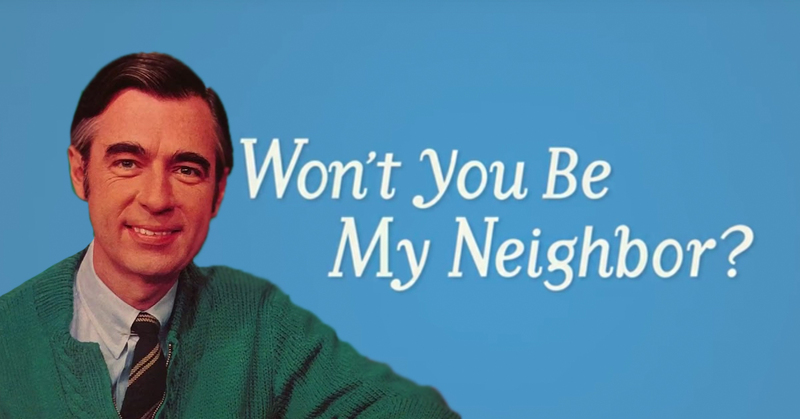 In our world of division, hate, intolerance, and self-centeredness, Won’t You Be My Neighbor?, by Academy Award for Best Feature Documentary winner Morgan Neville, is a brilliant, intelligent documentary. 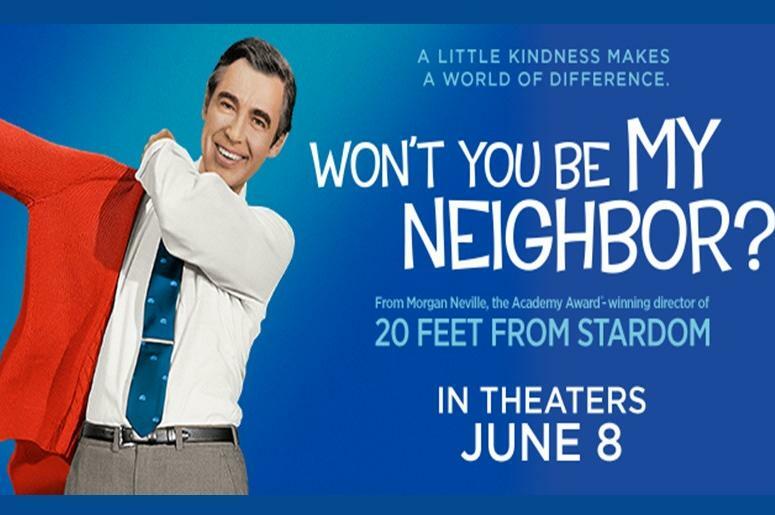 This film takes us beyond the zip-up cardigans of public television hero Fred Rogers and reminds us that we should shift focus from what divides us to loving others just the way they are and loving ourselves because we need and deserve love, compassion, and acceptance. He truly was the neighbor on and off screen that you and I wish we had next door to us. 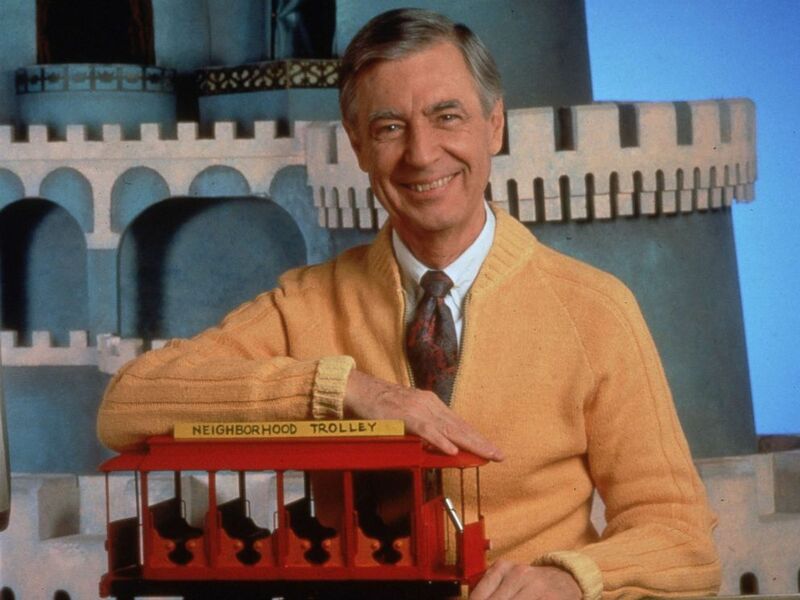 More than a mere television show for children, Mister Rogers Neighborhood ran deep–deeper than you realized growing up. Mr. Rogers tackled incredibly tough topics in simple, creative ways in order to educate children (and their parents) to exhibit love, kindness, acceptance, understanding, and safety awareness in the world. To make the world a better place, to be a positive influence, and more. Whether in front of the camera or behind the scenes, Fred Rogers’ life mission was to utilize the power of television to teach us how to be the best neighbor we possibly could be to the world. Discussing and depicting complex subjects for a children’s program like prejudice, racism, ethics, and learning to love and accept someone just the way he or she is, this thought-provoking public television program cuts through the pretense of this world and aims directly for your heart. “One of the greatest gifts you can give anybody is your honest self” (Fred Rogers). From February 1968 to August 2001 and nearly 1000 episodes, we were invited into the living room of children’s television icon Fred Rogers. He took us on adventures into the world to learn how things are made, taught us about kindness, love, cooperation, and punctuated each episode with a trip to the Neighborhood of Make-Believe to creatively drive home the message of theme of the day. Even if we haven’t seen an episode since we were kids, I imagine that most of us can still hum the theme song and maybe even sing some of the lyrics. His simple daily routine of putting on his zip-up cardigan and switching out his shoes made such an impression on the words that his cardigan hands in the Smithsonian Institute. Few television personalities have left such a great impression as Fred Rogers. His positive influence on and off camera affected the lives of so many people from the very young to the more established in life. The documentary Won’t You Be My Neighbor? chronicles the life and times of Fred Rogers during his timeless show. While you may think he was out of touch with realist–especially the reality we live in today–this documentary proves that he was well-aware of what was going on in the world and knew he had to educate, protect, and inspire children to overcome struggle and grief. Often he’d end the show with statements such as “you make the world a special place by just you being you.” The authentic decency demonstrated by Fed Rogers is so incredibly rare these days, and it’s that rare glimpse of hope that moves those who watch this documentary. One of the most subversive moments of the documentary is when we watch part of an episode from the first season depicting King Friday the XIII building a wall to keep undesirables out. Now where have we heard that before??? Resisting the malevolent actions of the monarch, the neighborhood of Make-Believe inundates the king with messages of peace, tolerance, acceptance, and kindness. These messages inspire the king to tear down his wall to include everyone in the neighborhood. Certain so-called leaders in our states, country, and world should probably brush up on their Mister Rogers and follow King Friday’s example. Mister Rogers sentiments were not shared by many Americans during this time of civil rights unrest, but the beauty of his show was demonstrating positive progressive ideas that confronted prejudice and hate. Moments like these served as beacon of hope that the children would grow up to be loving, caring adults who desired to cooperate to build a better world. Moreover, Fred Rogers features a similar analogy later on in the series when he invites Officer Clemmons to share a foot pool with him in order to cool off in the hot weather. Perhaps this doesn’t sound radical now, but this was at a time that white Americans bucked against sharing public pools with individuals of color. Even Clemmons’ role as an officer of the law was subversive. He was hesitant at first to play the role because cops were the scariest people in his neighborhood, but he realized the importance of “children of color having a positive role model who looked like them” in the role of one who upholds the law. The documentary also puts to rest those myths of Mister Rogers involvement in the US Military. Although we wore his zip-up cardigan regularly, it was not to cover up tattoos he got while service in the Department of Defense–he never served in the US military–but he DID serve his country for 31 years through his public television show. You spend quite a bit of time learning about the strong faith of Fred Rogers, and how it was truly the foundation upon which his show was developed. An ordained Presbyterian minister, Rogers was all set to enter seminary before he had the idea to produce his famous show. Many of the individuals interviewed during the documentary stated that even though Rogers never identified himself as a Christian, his faith and theology can be felt in his show through the lessons, games, examples, and stories. The guests from Yo Yo Ma to the show’s prop master testify to Mister Rogers’ progressive, inclusive view of Christianity that was overflowing with love and tolerance. He was proud of his faith, and often credited his Christian faith as the inspiration for the scripts he wrote for the show and the songs he composed. His beliefs were found in everything he did on and off screen. Another reverend friend of Rogers stated proudly that Rogers’ ministry through the show touched more lives and made more difference than a traditional evangelist could ever hope to do. Just goes to show it’s not how you identify yourself, but how you live your life and effect others that makes the biggest difference in the world. Love is at the root of everything. He was doing something profound, deep, doing something that worked on multiple levels at the same time. Racism and prejudice weren’t the only weighty issues Rogers so creatively helped children work through and understand, but he also commented on other tough subjects difficult to discuss in a children’s program in a way that drives points home through kindness. Assassination, death, war, divorce, and diversity were subject matters on the show. The groundbreaking character of Officer Clemmons represented a positive role model in the law enforcement community. He was also the first recurring African-American role on a children’s program. Clemmons often commented on how incredibly encouraging Rogers was. Especially when Clemmons came out as a gay male. At first, Rogers was not sure what to do because of sponsors and even personal convictions and it took a while to talk to Clemmons about this aspect of his personal life and how it effected the show; but Clemmons stated that Rogers was extremely supportive and loved him just the way he was. Although not explicitly stated on the show, Mister Rogers–indirectly anyway–talked about accepting those who love differently than you–love is love as the popular hashtag goes. He often made it a point on the show to be proud of who you are and just the way you are. This was his way of discussing a subject that is still divisive today. But Mister Rogers was demonstrating how friends, family, and neighbors should treat one another before it became more commonplace to discuss. When PBS was facing the loss of the $20mil funding from the US Government, Rogers testified before Senator Pastore the importance of public television. More than merely testify, he stated the lyrics to a song he wrote for the show. You can watch the testimony by clicking here. Words cannot truly capture the power of his testimony so give it a watch when you have some time. When Pastore demanded that no one else testifying read their statements, Rogers kindly put his “philosophical statement that would take 10mins to read” aside and simply spoke to the senator. He testified to his passion for educating children and contributing to healthy development and that the money spent on educational programming should be thought of as more important than violent “animated bombardment.” Understanding the inner needs of children should be at the forefront of television programming. Fred described his show to the senator as “an expression of care every day to every child to help [them] realize they [they] are unique…you’ve made this day a special day by just you being you.” The testimony is a powerful one that earned the funding for educational programming that was nearly lost. Do yourself a favor and watch this documentary. Hopefully, it is playing at a theatre near you. Whether you grew up with the show or not, whether you can recall the last time you saw an episode or thought of Fred Rogers, this is a powerful film that is sure to inspire you. You will be changed as a result of this intelligent portrait of a man who left a timeless impression on the lives of millions by just being himself and providing an expression of care to all those who watched.